Below, are just a few samples from some of the collections. 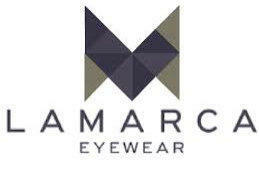 Please visit our store to see and try-on many more frames from our inventory. Sasura is the first eyewear brand to introduce the art of pairing jewelry with eyewear. Sasura offers endless possibilities for your eyewear. Sasura frames are a revolutionary concept that combines eyewear with fine jewelry. With our patented interchangeable jewelry technology, Sasura frames are fully customizable with our fine jewelry beads: Sasura Jewels. Both our optical frames and sunwear, are Made in Italy with the finest acetates and metals using innovation and traditional craftsmanship. 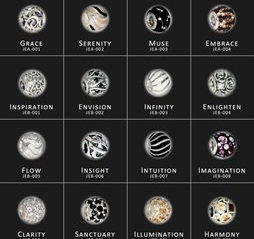 All of our Sasura Jewels are made of 925 Sterling Silver and many designs contain crystal and cubic zirconia. With expertise across both eyewear and jewelry, our design team is inspired to create frames and jewelry that PAIR PERFECTLY together. Pierre is a line that you can customize to match your individual style. Choose your shape and your colour and pattern of plastic, and your Pierre eyeglasses will be handmade for you in France to your specifications. 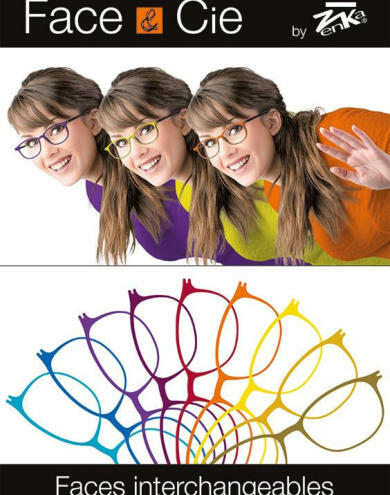 With a multitude of options, you'll be able to find your perfect frame! With inspirations like tweed, lace, and silk, it is no wonder that JF Rey frames are unlike anything else on the market. JF Rey designers use organic, everyday textures and images to fuel their creations, then fuse them with vibrant colours and materials that are made to last. Designed with many faces in mind, JF Rey has created a line of frames for petite faces, as well as frames that wrap around the curves of your face. Frames are lightweight and flexible, often mixing metal and plastic elements into a single frame. They are so unique that they transcend fashion and therefore never look outdated. You will love your JF Rey frames for years to come. OGA frames are designed to embrace the “Scandinavian Spirit”. Inspired by Scandinavian architecture, they express a simple masculinity through the use of clean, crisp lines and the subtle use of colour. The Scandinavian landscape is even incorporated into the Branches Bois line, which uses wood as the primary temple material. Set yourself apart with striking, modern, masculine eyewear. Inspired by jewellery and shoes, Jimmy Choo's eyewear is certainly a fashion line. They are meticulously crafted in Italy, so there is no need to compromise quality for beauty; these frames are built to last. Match your glasses to your shoes with Jimmy Choo eyewear. Silhouette - The Brand It doesn't get any more flawless than Silhouette rimless. Silhouettes are designed to disappear on the face and showcase the natural beauty of your eyes. They are the best-engineered rimless glasses on the market to provide strength and stability for your lenses as well as comfort and lightness. They are truly classic frames. Like Dilem, Zenka frames are made in France and are based on the concept of changing your eyewear as often as you change your clothes. With Zenka however, it is the frame front that changes. Plastic and metal clips are easily slotted into the frame to create the appearance of a whole new pair of eyeglasses. Zenka's catalogue of frame fronts has enough colours and patterns to create and entire wardrobe of looks, and is updated often to keep up with fashion. Zenka was an instant success when it was launched at the 2001 Silmo eyewear conference in Paris, and on the first day of the conference was nominated for the Silmo Gold Award in the category of Technological Innovation. Wow your friends with your modern, innovative, ever-changing eyewear! The creators of Bellinger eyewear are truly artists when it comes to the colour, shape, and especially the material of their products. Their use of acetate, a common eyeglass frame material, is completely unique: they combine the cotton, acetone, and alcohol that is used in all acetates with their own special colours, then pull and stretch the acetate to create different effects and dimensions of colour. They often use five different kinds of acetate in one frame, and the result is that no two frames are exactly alike. Their metal frames also demonstrate their mastery of texture and colour, with etched patterns and fun, bright colours. These one-of-a-kind frames will compliment your unique style. Hand Made Titanium Eyewear Blackfin is another eyewear maker that has mastered the material its products are made of. Each titanium frame that Blackfin makes goes through a rigorous 53-step manufacturing process, and each frame is made exclusively in Italy. Titanium is an ideal eyeglass frame material because it is as strong as steel, but 40% lighter, non-toxic, and hypoallergenic. It is so strong that the temples can be made paper-thin and still be extremely durable. The frames' sharp, modern shapes are softened with brushed-metallic and matte colours that are suitable for everyday wear. Entourage of 7 is luxury eyewear based in Los Angeles and influenced by the city in which it originates. In the City of Angles - an ever-changing multicultural melting pot, we find joy in pushing forward, constantly reminding ourselves to always be courageously creative. We aim to design beautiful spectacles for our rockers and rollers, lovers and sinners at Venice Beach – the birthplace of Entourage of 7. Some of its tools, machines, models and documents dating from 1843 are still used by the company for the design and manufacture of prototypes of spectacles. All the assembly and insetting techniques are carried out by hand. The company constantly carries out technical research on the materials and tools. Vuillet Vega has been awarded several prizes for its aesthetically pleasing and user-friendly products. All the new models are registered with the INPI, the National Industrial Property Institute. The company's designer holds the title of Meilleur Ouvrier de France (Best Craft Worker) in spectacles. The company sells its products exclusively to shops specialising in the sale of spectacles (e.g. Krys, Afflelou, Visual, etc.) and to some celebrities. Its products are exported to the Middle East, Asia, Africa and North America. Vuillet Vega is the only eyewear to have been awarded the "Living Heritage Company" the Minister of SMEs. This prestigious label promotes quality, expertise exceptional and original territory. Installed in the Vallée de Morez, capital of the spectacle industry since 1796, Vuillet Vega has specialised in the manufacture of upmarket spectacle frames for the past five generations. Its spectacle frames are made from precious or semi-precious inset materials: mother-of- pearl, tortoiseshell, shagreen, etc. After a three year world tour, globe trotting architect returns to offer his new collection, “Old School”. Inspired by the simplicity of the 1960’s, this collection results from the encounter of two worlds, that of Vincent Kaes and designer, Pascal Lacotte. It is in perfect accord with the 'Old School' trend which flourished in recent years. 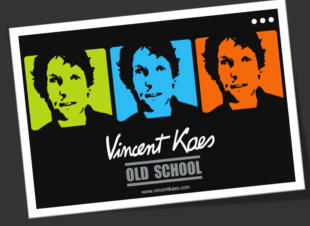 In addition, to offer products trends, Vincent Kaes does not skimp on quality. Vintage-inspired, the parts in acetate are finished by hand, to obtain typical craftsmanship of finesse and roundness. Traditional hinges are riveted on the faces and the branches, hammered by hand one by one, and then polished again. The head of branch cuts are performed so as to establish a perfect with tenons fit. If you are looking for a bold, exciting frame, then Roger is the designer for you. Roger eyeglasses feature standard lens shapes with less-than-standard metal frames in brushed metal finishes that appear to shift colour in different lighting. 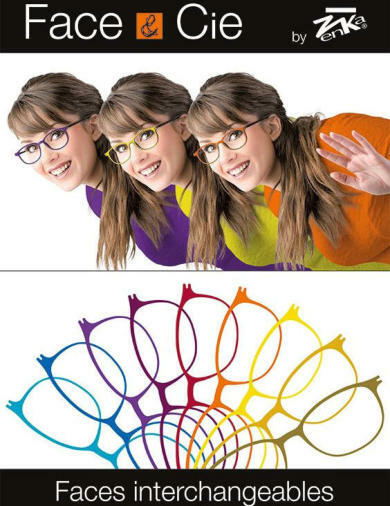 With shapes that are completely unique and undeniably different, Roger frames will highlight your individual personality. Handmade glasses that are made in France. Established in 1997, it is now part of the J.F.Rey brand of High Quality Frames. 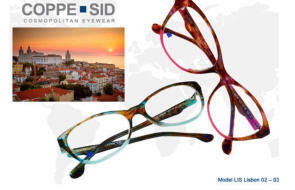 Designer Fabienne Coudray-Meisel who is also an Optician, knows how to create frames that are comfortable and superior quality. An innovative and fun new concept of frames with interchangeable fronts. Like nature, which adopts a new look each season, we all evolve and reinvent ourselves as our desires and lives change. This is why Zenka has designed interchangeable eyewear that can be transformed to suit our mood and lifestyle. Change of decor The principle is simple and ingenious : an original and colourful clip- on part is added to the top or front of a simple frame, transforming it in just one click into trendy, eye-catching and unique glasses. These decorative elements are as easy to remove as they are to attach. For each new season, a new look To allow glasses wearers to nd the perfect match for their mood of the moment, Zenka offers a wide range of frames and a multitude of clips with new designs each season. Whether glamorous, contemporary, daring, trendy or ultra-stylish, our clips reflect the latest fashion trends. High-quality products Frames are made from TNG and inox, high-tech, robust and ultra- light materials.100% French manufacturing adds a guarantee of quality. Imagine having a single eyeglass frame durable enough to last for years, yet versatile enough to look great with every outfit in your wardrobe. Using simple design principles for their frame fronts combined with a wide range of temple patterns from wild to subtle, Dilem has created eyeglasses that are truly multifunctional and modern. The temples are easily interchange-able and made using plastic and polymer materials that are strong as well as lightweight. Dilem's extensive catalogue of different temple styles and colours has our customers from Vancou mond, Burnaby, and all over the Lower Mainland creating more and more customized eyeglass looks. These French-made frames are fun, funky, and perfect for any lifestyle. This is the “ Something Different ” Eyewear you were waiting for. Cendrine Obadia is a French Canadian designer with over 20 years experince in her craft. She combines the highest quality material with vibrant colors and intricate details to create unique and bold pieces to stand out in a crowd. These frames are in stock and available for you to try on in our store. Exciting, poetic, appealing, stylish, original – 5 words that sum up the LAMARCA EYEWEAR collection. Our quest is to create a unique product, to break free of narrow market diktats and follow our dream of creating a superb collection in which every model is the fruit of meticulous attention to detail, from concept through design and choice of colours to manufacture, the artisan tradition reflected in such exclusive processes as engraving, thermoforming and bonding. 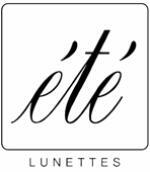 Eté lunettes is a fourth generation owned and operated eyewear manufacturer originating in France. The passion for hand-crafted eyewear started in 1924 using materials such as horn and tortoise shell. Over the years each generation has preserved the passion and traditions passed down to them and believe each frame should be an individual work of art. Their modern day frames use unique materials such as plexi and have intricate hand-carved details within the frame. 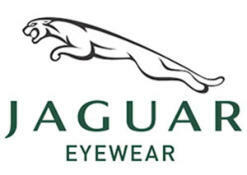 The Eyewear The JAGUAR Eyewear collection mirrors the unique elegance and drive of the JAGUAR sports car. Design interpretations from car to eyewear such as carbon fibre details, wood grain and interior materials characterize the collection. 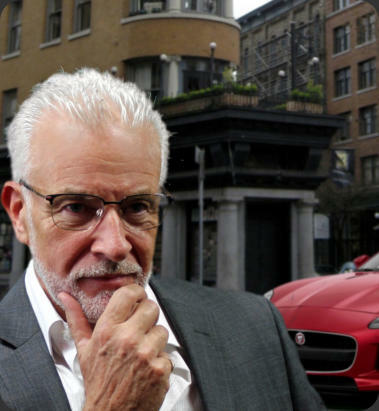 Lens shapes that closely adhere to the design language of the car as well as color transfers further add to the JAGUAR magic of these frames, making them truly desirable products for men. 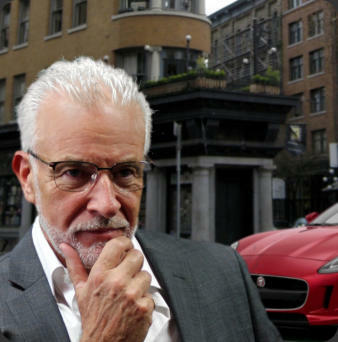 The car JAGUAR is known for the development and fabrication of sovereign and ambitious luxury vehicles since 1922. The sensuous premium-automobiles and sports cars ensure extraordinary performance, exceptional luxury and an intense driving experience like only a JAGUAR can do. The Impressive Eyewear Frame collections include many independent European brand names such as JF Rey, Dilem, Zenka, Silhouette, Bellinger, Yves Cogan, Oga, Jimmy Choo, Roger, Blackfin and Dutz to name a few. 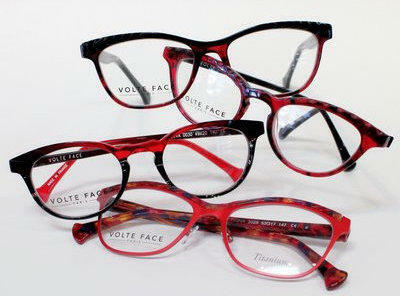 Our newest additions is the French Face & Cie frame collection that features frames with changeable front faceplates. Pierre eyewear Featuring unique handmade one of a kind frames and Sasura with interchangeable charms are also featured. The luxurious collection by Gold & Wood from Luxembourg, Cazal from Germany and Entourage of Seven from Los Angeles will impress the most discriminating eyeglass wearer. Below, are just a few samples from some of the collections. 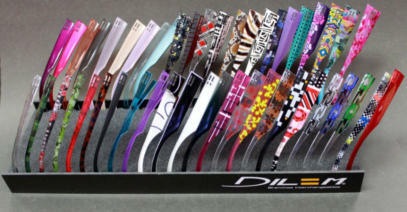 Please visit our store to see and try-on many more frames from our inventory. Imagine having a single eyeglass frame durable enough to last for years, yet versatile enough to look great with every outfit in your wardrobe. Using simple design principles for their frame fronts combined with a wide range of temple patterns from wild to subtle, Dilem has created eyeglasses that are truly multifunctional and modern. The temples are easily interchange-able and made using plastic and polymer materials that are strong as well as lightweight. 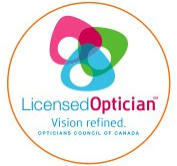 Dilem's extensive catalogue of different temple styles and colours has our customers from Vancouver, Richmond, Burnaby, and all over the Lower Mainland creating more and more customized eyeglass looks. These French-made frames are fun, funky, and perfect for any lifestyle. Sasura is the first eyewear brand to introduce the art of pairing jewelry with eyewear. Sasura offers endless possibilities for your eyewear. Sasura frames are a revolutionary concept that combines eyewear with fine jewelry. With our patented interchangeable jewelry technology, Sasura frames are fully customizable with our fine jewelry beads: Sasura Jewels. Both our optical frames and sunwear, are Made in Italy with the finest acetates and metals using innovation and traditional craftsmanship. All of our Sasura Jewels are made of 925 Sterling Silver and many designs contain crystal and cubic zirconia. With expertise across both eyewear and jewelry, our design team is inspired to create frames and jewelry that PAIR PERFECTLY together. Entourage of 7 is luxury eyewear based in Los Angeles and influenced by the city in which it originates. In the City of Angles - an ever- changing multicultural melting pot, we find joy in pushing forward, constantly reminding ourselves to always be courageously creative. We aim to design beautiful spectacles for our rockers and rollers, lovers and sinners at Venice Beach – the birthplace of Entourage of 7. Handmade glasses that are made in France. Established in 1997, it is now part of the J.F.Rey brand of High Quality Frames. Designer Fabienne Coudray-Meisel who is also an Optician, knows how to create frames that are comfortable and of superior quality. Dutz has designed a collection of modern, elegant frames that uses colour to create unique styles. Each frame uses classic shapes with a hint of edginess, resulting in designs that are wearable, yet funky and different from any other brand on the market. Installed in the Vallée de Morez, capital of the spec- tacle industry since 1796, Vuillet Vega has specialised in the manufacture of upmarket spectacle frames for the past five generations. Its spectacle frames are made from precious or semi-precious inset materials: mother-of-pearl, tortoiseshell, shagreen, etc. Some of its tools, machines, models and documents dating from 1843 are still used by the company for the design and manufacture of prototypes of spectacles. All the assembly and insetting techniques are carried out by hand. The company constantly carries out technical research on the materials and tools. Vuillet Vega has been awarded several prizes for its aesthetically pleasing and user-friendly products. All the new models are registered with the INPI, the National Industrial Property Institute. The company's designer holds the title of Meilleur Ouvrier de France (Best Craft Worker) in spectacles. The company sells its products exclusively to shops specialising in the sale of spectacles (e.g. Krys, Afflelou, Visual, etc.) and to some celebrities. Its products are exported to the Middle East, Asia, Africa and North America. 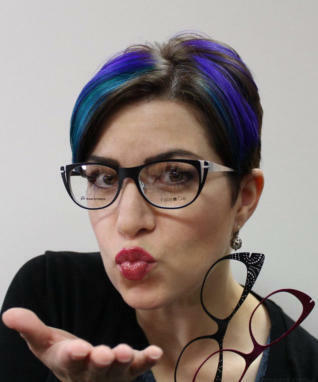 An innovative and fun new concept of frames with interchangeable fronts. Like nature, which adopts a new look each season, we all evolve and reinvent ourselves as our desires and lives change. This is why Zenka has designed interchangeable eyewear that can be transformed to suit our mood and lifestyle. Change of decor The principle is simple and ingenious : an original and colourful clip-on part is added to the top or front of a simple frame, transforming it in just one click into trendy, eye-catching and unique glasses. These decorative elements are as easy to remove as they are to attach. 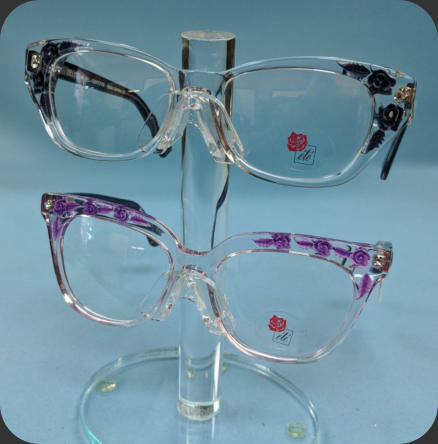 For each new season, a new look To allow glasses wearers to nd the perfect match for their mood of the moment, Zenka offers a wide range of frames and a multitude of clips with new designs each season. Whether glamorous, contemporary, daring, trendy or ultra-stylish, our clips reflect the latest fashion trends. High-quality products Frames are made from TNG and inox, high-tech, robust and ultra-light materials.100% French manufacturing adds a guarantee of quality.